Crack never became a popular, widely-used drug, being used by the poorest, most marginalised people in American society. This was not the way that the media and politicians talked about crack from 1986 to 1992. 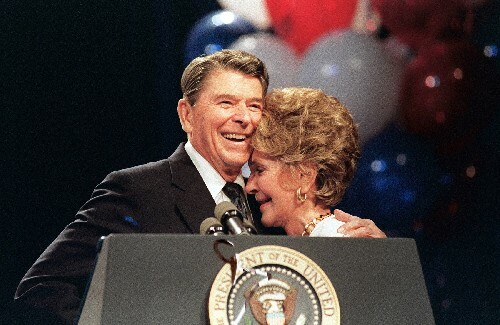 In 1986, President and Nancy Reagan led a string of politicians in asserting that drugs, especially cocaine, were “tearing our country apart” and “killing … a whole generation [of] … our children.” A 1988 ABC News special report termed crack a “plague” that was “eating away at the fabric of America.” In 1988-89, the Washington Post ran 1,565 stories about the drug crisis. In 1986, the editor in chief of Newsweek began a full page editorial with the assertion that, “An epidemic [of illicit drugs] abroad in America, as pervasive and dangerous in its way as the plagues of medieval times.” In the 14th century, the “Black Death” killed about 75 million people in a few years. At the start of the crusade to save “a whole generation” of children from death by crack in 1986, the latest official data showed a national total of eight “cocaine-related deaths” of young people aged 18 and under in the preceding year. In 1986, the national prevalence of high school seniors having tried crack in the past year was 4.1%. This declined steadily to 1.5% by 1993. Amongst 18-34 years olds in 1992, only 3% had ever used crack, whilst only 0.4% had used it in the past month. Therefore, prevalence was low. Despite claims that the drug was instantly addicting, most people who used it did not continue. When he became President, Reagan attempted to restructure public policy according to radical conservative ideology. Programs directed at social problems were systematically de-funded and taken apart. Unemployment, poverty, urban decay, crime and other social problems were treated as if they were the result of individual deviance, immorality or deviance. Arguments against these ideas were classed as left-wing. For the New Right, people did not abuse drugs because they were jobless, homeless, poor, depressed or alienated. They were jobless, homeless, poor and depressed because they were weak, immoral or foolish enough to take drugs. Business productivity was flagging because many workers were taking drugs. US education was in trouble because a generation of students were on drugs and teachers did not get tough enough with them.